medical director of the Immaculate Conception Hospital in Les Cayes. Two months after Hurricane Matthew plowed through southern Haiti and destroyed lives and livelihoods, the world’s attention to the humanitarian crisis has shifted. But Partners In Health's work hasn't wavered. In the days following the storm, staff from PIH—known locally as Zanmi Lasante—surveyed the damage in the Sud and Grand d’Anse departments and spoke with Ministry of Public Health and Population partners about how best to respond. Together, they created a plan. 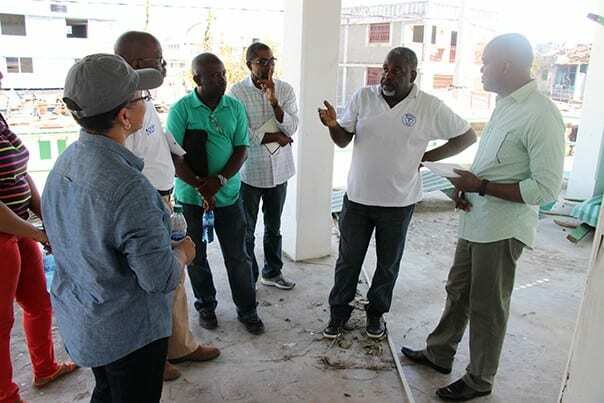 PIH would support Les Cayes’s Immaculate Conception Hospital, the sole public referral hospital for the region’s 1.5 million people, and assist with cholera prevention and response, including the vaccination of 729,000 people. PIH also began providing mental health services to patients and staff, and supported 100 employees whose families lost homes, crops, and livestock. Immaculate Conception Hospital was struggling even before the powerful Category 4 storm hit. Many rooms were either under construction or in severe disrepair. Rain and 145 mph winds made things worse. The hospital’s clinicians also hadn’t been paid for months. Few showed up to work before the storm, and few arrived afterward in the midst of personal emergencies. Knowing the injured and sick would arrive soon, PIH made shoring up the referral hospital its primary focus. Ninety hospital staff were given back pay and a regular salary. PIH transferred a pediatrician from University Hospital in Mirebalais to tend to the large number of children arriving for care. Family medicine residents from St. Marc are rotating through to help meet patient demand. And PIH is providing free medication to the poorest patients—a rare blessing at a hospital that usually charges for services. Not all patients arrive with physical ailments; sometimes they come burdened by depression and anxiety following overwhelming loss. “One of the biggest problems is that no other nongovernmental organizations offer mental health care,” says Sheila Davis, PIH’s chief nursing officer. To fill that void, Eddy Eustache, PIH’s director of mental health in Haiti, has recruited three psychologists and three social workers to provide advice and counseling to health care workers and community members. More staff will be hired in January to tend to patients' needs. And community health workers are being trained to identify symptoms of mental illness so that they can connect neighbors with care at Immaculate Conception Hospital. PIH also knew the hospital's physical infrastructure needed help if the facility was to meet patient demand. Eight contractors were hired to repair the roof and fix structures damaged by the wind and flood waters. A generator now provides electricity 20 hours a day—something that was unheard of prior to the storm. A newly installed chlorine machine produces 60 gallons a day to help decontaminate the wards and maintain sanitation. And a repaired incinerator now properly disposes of waste. PIH is supporting the cholera treatment center near Immaculate Conception Hospital by providing medications and supplies, monitoring the flow of patients, and helping keep latrines clean to prevent further infection. More staff will be hired and trained to meet growing demand at the center, and community health workers will be trained to properly identify cholera symptoms. In the first week following the hurricane, the Sud department reported 280 suspected cholera cases. Since then, the Sud has had 1,471 suspected cases and neighboring Grand d’Anse another 1,594. 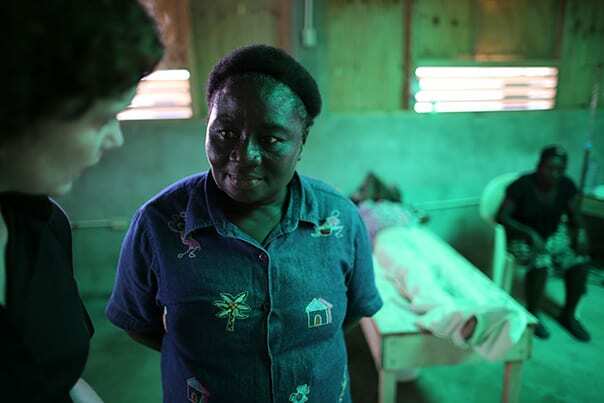 Combined, the two departments account for 49 percent of the cases reported in Haiti during that period. Normally, they account for 8 percent. To stem the tide of infection, the ministry requested 1 million doses of the oral cholera vaccine Euvichol from the World Health Organization. Two shipments of 500,000 vials arrived in late October. The majority of vaccinations were immediately sent to Grand d’Anse and Sud, where 729,000 people—86 percent of the region’s population—received a single dose in early November. The ministry is keeping the remainder of the vaccine in cold storage so that, should cases spike again, it can respond rapidly. Throughout this process, PIH has remained a strong government partner. Having conducted an effective cholera vaccination campaign in 2013, PIH provided consultation and financial support to the ministry to ensure the effort in the south was a success. Meanwhile, PIH awaits approval from the Haitian national bioethics committee to begin a study of the vaccine’s effectiveness. In partnership with the Haitian government, the Centers for Disease Control and Prevention, and the Haitian nonprofit medical organization GHESKIO, the study will look at the effectiveness of a single vaccination versus a double dose in staunching the tide of cholera infection. The results could have widespread implications for how other countries respond in the midst of an epidemic. Haiti recently entered its seventh year battling the cholera epidemic, which has killed 10,000 people and sickened 800,000.